A Life Changed by Chronic Pain. I, Hope Sorrells, have been dealing with Chronic Pain for seven years. It’s crazy to even think it has been that long, and the fact that it simply started from a small hip injury, that now consumes my day to day life, and will never leave, and never be cured. Chronic pain isn’t some fairy tale that inhabits only the deepest of imaginations, oh no, I wish that was the case. My “flare-ups” like to onset at any given moment, they do not care if I am in the middle of an arena, horseback, or trying to lead steers to their tie-outs for the evening at stock show. They can onset extremely quick, one moment, I am fine and dandy, the next, I am freezing, pain is being shot down from my lower back all the way into my lower extremities. The sudden impact of these flare-ups leave me feeling nauseous and exhausted. Then, the migraine sets in, and it can lasts up to three days (well, that is the record so far), and leave me almost incapable of even lifting my head, let alone do normal activities around the house. Or the fact that I have to constantly move when sitting or standing because my legs go to sleep, even standing I will sway or exchange weight from one foot to the the other because my legs decide to go numb on me. Or, I’ll have the flare-ups that creep up during the night, and the next morning I wake up in a panic because I can barely feel my legs. My first thought is “Oh great, I won’t be able to walk today…” then I go to move them and their is such pain that it knocks the breath out of me, those are the fun mornings! And of course, I cannot forget the lack of motor skills. I can’t even get my hand in a fist, I try, and fail, then try again, and fail again. My hands and fingers swell and hurt. And the bruises, holy jeez, they are everywhere it seems; my hips, back, knees, ankles. Then, after all of that, I am exhausted because I am physically, mentally, and emotionally drained. My body is having to fight itself. 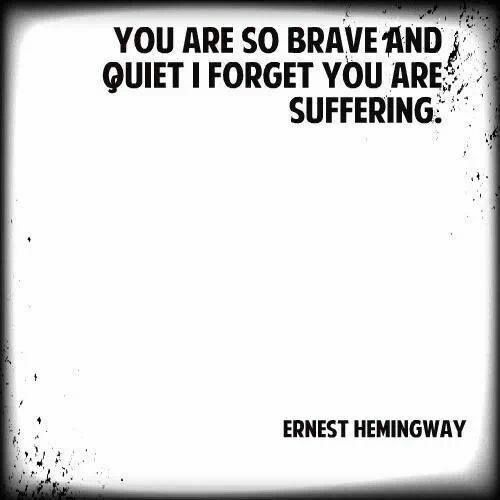 There are some days I can hardly move, let alone stand or walk or heaven forbid I have to go anywhere, but then, I can go months with only mild pain. That is the issue with this, it never goes away completely, ever. And the sad thing is, doctors have yet to figure out what exactly is wrong with me… all they know is that their is no cure but to endure, embrace and move on. I think out of all the pain, the worst part is the fact that it limits what I can do, especially dealing with my passions. I have had to learn that I have to have boundaries in order to survive, although, I still feel weak when I have to say, “I cannot do that” or “I am not feeling too good, I need rest”. My body definitely lets me know, from the pain to the swelling and the bruising to the exhaustion and the migraines. My passions are very physically demanding, and some days I feel like I am not cut out for the job. That, my body will never allow me to continue with my passions, that is when my mental toughness far overcomes my physical exhaustion and pain. It is torture sometimes seeing people able to propel through life, when I feel I am at a stand still because I have to be, not because I choose to be. I have had my fair share of doubts and tears, because I know that, some days, I cannot do all that I wish I could. And yet, some days, waking up and brushing my teeth is a victory. I have come to embrace the small victories. Like David beating Goliath with a sling shot and a stone, I know that I can fulfill my dreams and that my reality is just another part of who I am. I have learned to embrace my pain, because it has taught me humility and grace and perseverance. It has allowed me to share my hope and joy for life, share my passions, and share my God with others, because everyone has some kind of pain in their life. Fortunately and unfortunately my pain is wrapped into a physical pain that takes hold of my mind and my spirit (sometimes), because it does knock me down… yet I rise back up. I may not rise back up for a few days, in order to let my body rest and heal, but I rise. It is not how many times you fall, but how many times you stand back up, brush yourself off, and press on. This pain has a purpose in life for me, and your pain does too. I feel weak, a lot more than I feel strong, but I know that it is at my weakest when I am at my strongest. And my prayer constantly is that the Lord uses my pain to inspire others to push through theirs, because even a little bit of faith can move mountains.